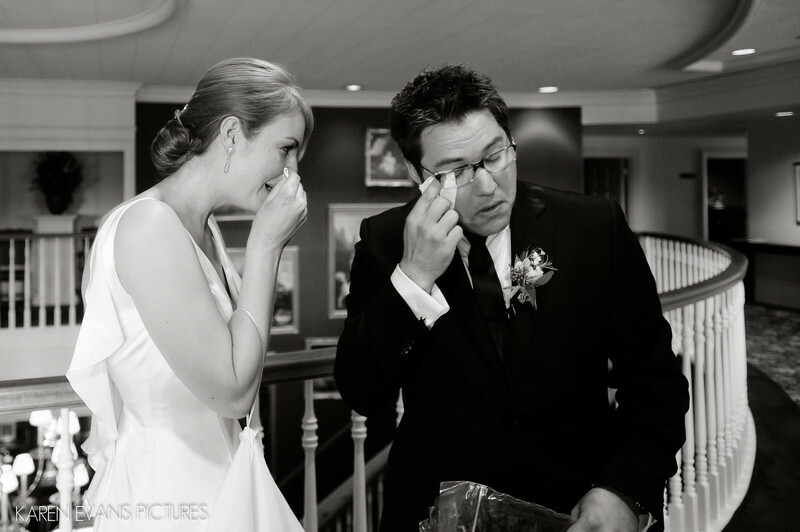 Lindsay and Andrew saw each other before their Jewish wedding ceremony and it was very emotional for both of them. It's touching moments such as these that always make me at least suggest the possibility of seeing each other prior to the ceremony. That you can hug each other and touch each other during these moments is very meaningful and makes for some really beautiful photographs. Keywords: first look (27), jewish (177), the lakes golf and country club (36).